If you work for a company that does business with the government or for a government agency, you may need a security clearance to gain access to classified information you need to do your job. Security clearances are granted by only the federal government, and only to the extent that your need for access requires. If you have Top Secret clearance, federal law requires that your clearance authorization be reassessed and reinvestigated every five years. Complete and submit a Security Clearance Background Investigation (SCBI) questionnaire. You can provide this information online through the Electronic Questionnaires for Investigations Processing system (e-QIP). Your questionnaire should provide accurate information for the previous 10 years of your life. Provide the results of a National Agency Check, a Local Agency Check and a Financial Check to the Defense Security Service. You or your company are responsible for the cost of providing these checks to the Defense Security Service. Alert your family, friends, coworkers, neighbors, teachers and others who have known you in the previous 10 years that it is possible that investigators will contact them for information about you and your activities during that time. This is considered an integral part of the required background investigation. Schedule an interview with a Defense Security Service investigator. The investigator will relay his findings to the security adjudicator assigned to your case, and the adjudicator will make a determination and process your clearance renewal. The average Top Secret security clearance renewal requires four to eight months before a decision is reached to grant approval. You should begin the renewal process at least eight months before your security clearance is due to expire. The security clearance application includes a clause that permits investigators to access all information about you, including juvenile, medical and sealed records. Be accurate and tell the truth. If you falsify any information when you apply for a security clearance renewal, you are subject to federal prosecution that includes a fine and imprisonment for up to five years. Browne, M.L.. "How to Renew a Top Secret Clearance." 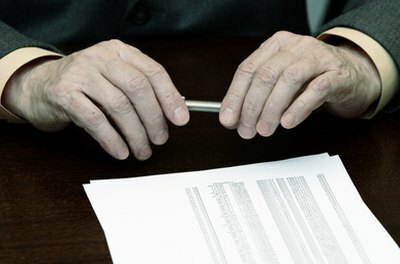 , https://careertrend.com/how-5974629-renew-top-secret-clearance.html. 05 July 2017.